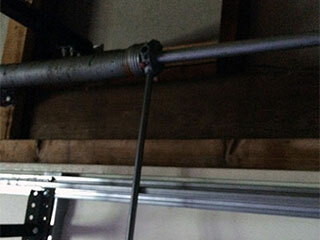 Broken Torsion Spring? We've Got You Covered! It's only a matter of time before your garage door springs break. We don't mean to seem pessimistic, but it's simply a fact. These components aren't meant to last forever, and they go through too much wear and tear to be able to stand the test of time. With the proper maintenance, however, they will end up lasting for a lot longer, and you'll be able to save money on premature replacement. Here is why you should never try to attempt to perform spring replacement yourself. These components are under a lot of stress. When they can no longer contain that tension, which will inevitably happen after a certain amount of time, they'll simply snap. When that happens, all that stored tension will get released, and the springs could whip around violently, which can seriously injure anyone standing in their way.That is why replacing these components should only be carried out by a trained professional who knows how to handle them carefully and safely. If you make sure to have our technicians service your springs on a regular basis, we'll be able to increase the lifespan of these components by quite a lot. We'll make sure they're properly lubricated and able to work smoothly and quietly, and we'll test their tension and adjust them as needed to ensure your door stays balanced. This will help them last longer and reduce the strain they have to go through. No matter what type of problem you're having with these units, you can count on our repair specialists to handle it. At Garage Door Repair Redlands, we specialize in replacing both extension and torsion springs, regardless of their manufacturer. Contact us as soon as you encounter a problem.